I’m not Irish, I’m Pilipino but every year around this time, my mom makes her St. Patrick’s Day meal. Basically, Corned Beef and Cabbage. But she called it St. Patrick’s Day Meal. So since I’m now an adult with my own family and kids, I do the same thing. This year, the hubby jumped the gun and bought the corned beef brisket as soon as he saw it at the stores about 3 weeks ago. So we had our St. Patrick’s Meal 3 weeks ago. Now when I mentioned that he needs to go get the ingredients again for St. Patrick’s Day he said he didn’t feel like he wanted it anymore. Once a year was fine for him. Well I got huffy and said that if that’s the case, don’t buy the brisket until St. Patrick’s Day. He laughed and said he’ll go buy the brisket. lol. Traditions are funny. 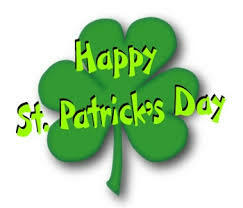 The thing about St. Patrick’s Day is that my grandma passed away March 17, 1999 at the young age of 70. While I have fond memories of her sewing and spending time with her as a kid, we didn’t have a nice, cozy, grandmotherly relationship. She was a negative person and yelled at us kids all the time. She was judgemental and interfered when she shouldn’t have. Of course, we all knew she loved us but each family could only take her for so much time before she would get into an argument with someone and move to the next family. It’s really sad and she had a lot of heartache in her life that shaped her to be this way. I understand it now as an adult but didn’t understand it at all as a kid. Luckily she had 5 kids in the bay area. So, she rotated her visits through their homes until her house was finished in the Philippines and she went to stay there permanently. The summer before she passed away I was lucky to spend 6 weeks in the Philippines. Half of the time I was with her and the other half I was with my other grandmother (My dad’s mother who I called Lola). While my Lola lived until her 90’s this was also the last time I spent a significant amount of time with her as well. And it wasn’t much of a visit since by this time she was going through dementia/alzheimer’s. I don’t really know and I never really knew if she knew who I was because she kept confusing me with my sister. Anyway, the last time my grandma visited us in the states she introduced me to cross stitching. When I was in the Philippines, they had cross stitching stores and she took me to load up on projects. I bought patterns and all the materials to make the patterns at under $10 for each project. These projects were huge. So the price was really cheap. Since I was finishing up college and poor, my grandma bought them all for me. We would spend hours in her foyer where the light was best cross stitching in front of the TV. I cherish these moments that I got to spend with her while I was more adult and less child. I got to know her much better and have more positive experiences with her than those experiences I had as a child. She told me many stories about our family’s history. I didn’t realize how I may be the only one of the grandchildren who know these stories until I was telling one of my cousins some of them. They were surprised that I knew so much and in writing this makes me think I should share the stories I was told. Some were very funny and some were very sad. I will share them one day. Anyway, since today is her death anniversary and my mom and the rest of the family is honoring her memory and praying for her up in the bay area, I am honoring and praying for her in LA today. 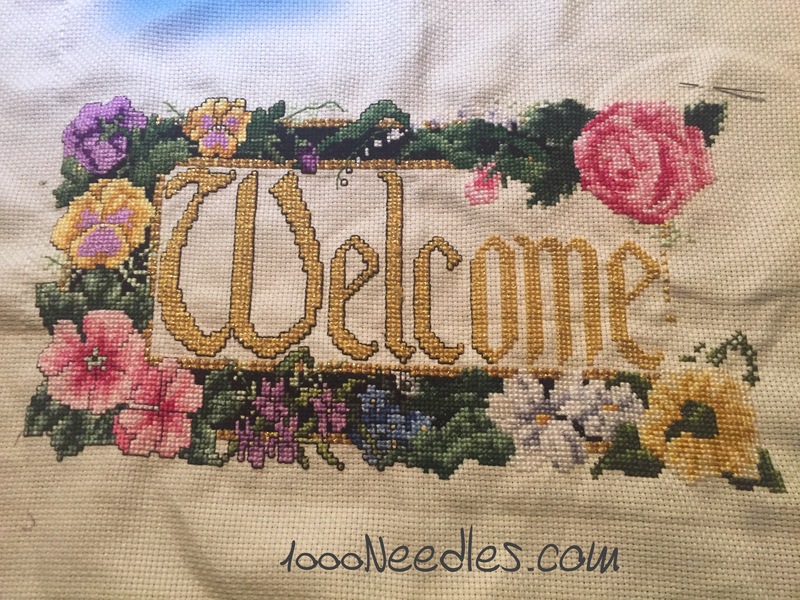 On to the Thursday update of my Cross Stitch project… This was one of the projects I got with my grandma in 1998. 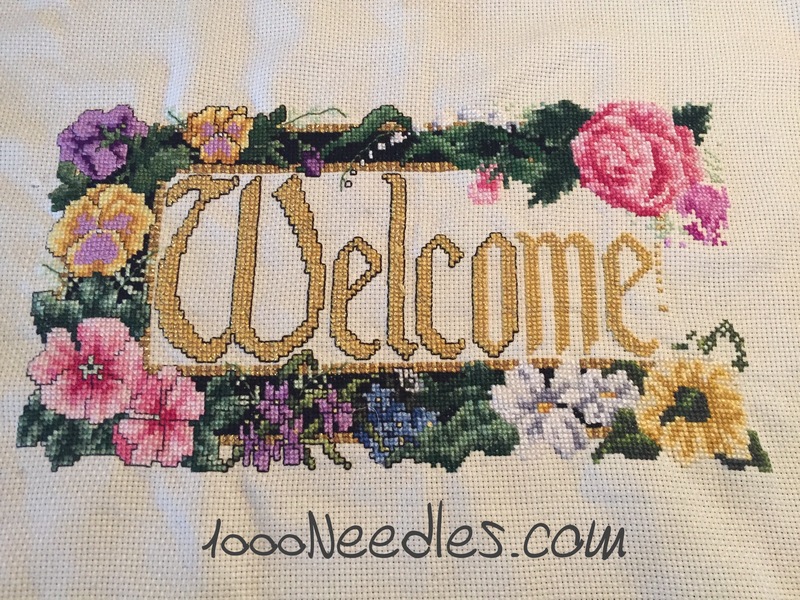 My Goal for 2016 for cross stitching is to get the “welcome” project done and get started on my farm piece. 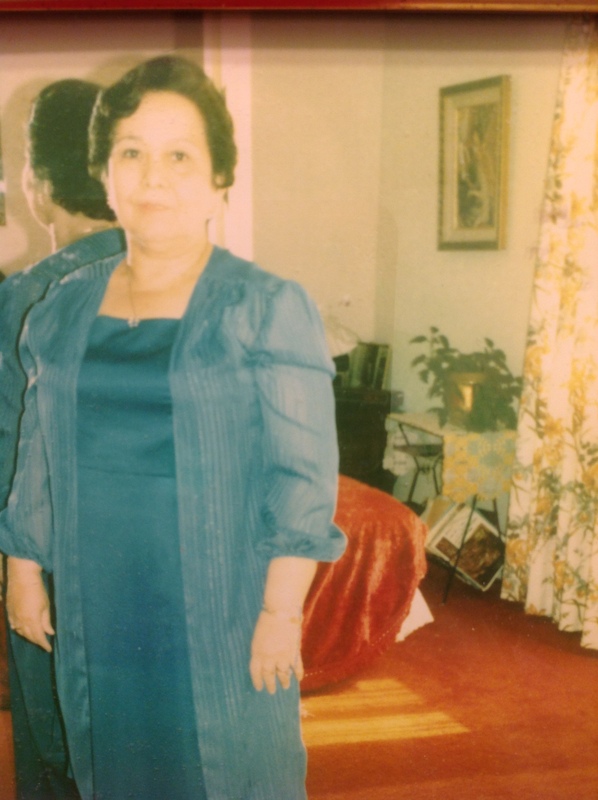 What a wonderful thing that you got to know another side of your Grandmother….good memories can out weigh the bad. Enjoyed your post. Thank you! I am so grateful that I had that summer with her.